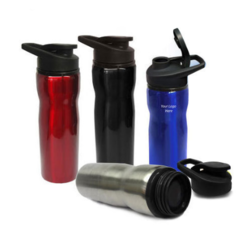 Offering you a complete choice of products which include laptop memo water bottle, steel flask bottle, flask bottle, water bottle, sports spray water bottle and dome flask bottle. This is stylish Flat Laptop Memo Water Bottle. This shape is Flat and fit any laptop bag / College notebook bag. Looking stylish and attractive Colour available. Transparent Look. 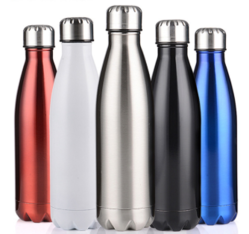 This is promotional Steel Flask Bottle. Carry to everywhere ie. Office ,Travelling ,Tours ,Home etc. 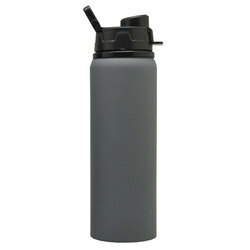 This is promotional Flask Bottle. Carry to everywhere ie. Office ,Travelling ,Tours ,Home etc. Attractive colour available Light orange,Red. This is Sports Spray Water bottle. Attractive Three Colour Available. This is 2 in 1 Bottle Drinking and Spray. This is promotional Dome Flask Bottle. Carry to everywhere ie. Office, Travelling, Tours, Home etc. 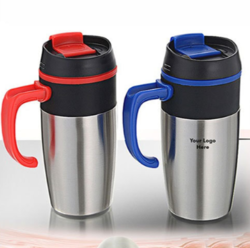 As a business gift/Corporate Gift Sipper Mug with Rubber Grip is wonderful product and suitable for working professionals. 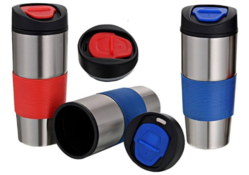 Steel Sipper Mug With Rubber Grip comes with various features. As a business gift/Corporate Gift Sipper Mug with Handle is wonderful product and suitable for working professionals. Steel Sipper Mug With Handle comes with various features. 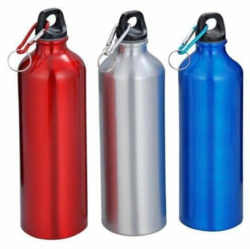 We've specially chose these Sports Sipper Water Bottle to give you the most natural tasting water available. Two Attractive colour available. Logo printing Possible. 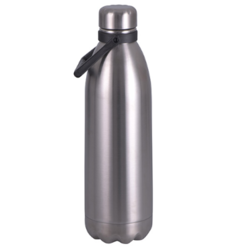 This is Stainless steel Sipper Water bottle. Attractive Three Colour Available.Engraving logo printing possible. 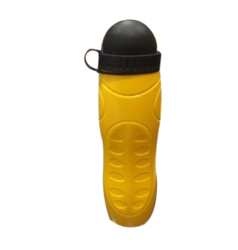 This is promotional Medicine Pills holder Water Bottle. Newly arrived in CapsuleShape. 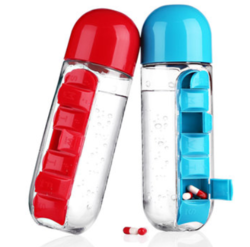 Combination of Water bottle with built-in daily medicine pill box organizer. 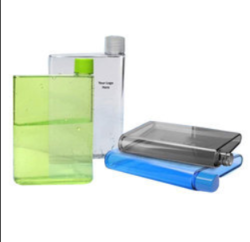 7 compartments medicine pill organizer for each day of the week. Unique way take your medication while on the go. Hand wash recommended, Daily medicine/pill box. Great for hiking or camping outdoors and more. Seven Channels Medicine Organizer for each day, week. 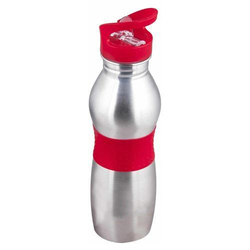 This is promotional Steel Sipper Water Bottle. Three Attractive colour available. 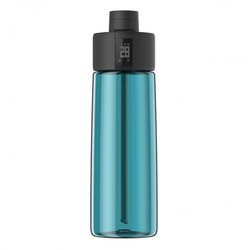 We've specially chose these Sipper Bottle to give you the most natural tasting water available. 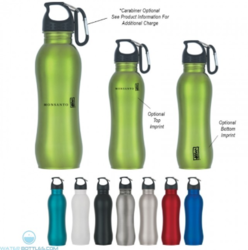 Plastic bottles can leach harmful chemicals, like BPA's into your family's drinking water. These stainless steel water bottles contain just that: stainless steel. Engraving & Digital both logo printing possible. Smart Water Bottle dedicates to smart hydration industry, and brought the concept of smart hydration and healthy hydration to the public. We also invents Air-Elastic Zephair and multiple smart hydration monitoring technology. It uses a 150 mAh lithium Polymer battery. It can be reached via the micro USB port on the lid. A single charge lasts up to 25 days. 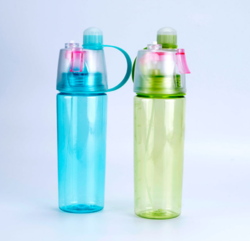 We offer Sipper Water Bottle.